You made it to Paris, congratulations. You’re in the middle of beauty in stone, ok, but what about a quick excursion into landscape painting? 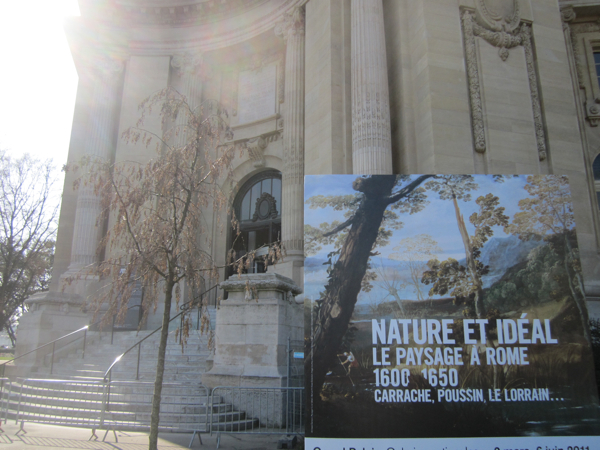 “Nature and Ideal” has just opened at the Grand Palais showing the most accomplished works of the early landscape painters. It sounds strange, but landscape painting is something quite new. It really started in Rome in the first half of the seventh century. Of course there has been representations of nature before. 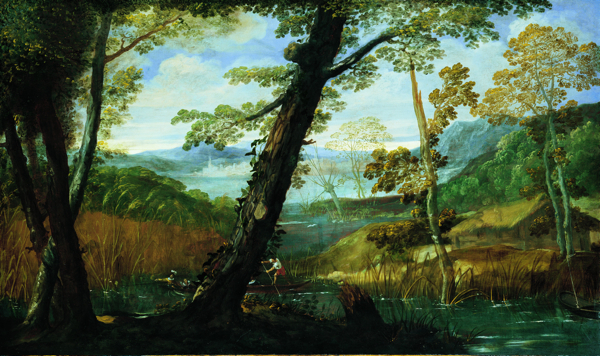 But before 1600 nature was not an independent genre in European painting. "Nature et Idéal" focusses on this pivotal point in art history at the beginning of the 17th century when landscape became a genre in its own right. Back then, a group of artists started to establish a proper code for landscape painting trying to represent an ideal of nature. The exhibition at the Grand Palais displays 80 paintings and about twenty drawings from this period, seeking to show some of the most accomplished works. You might not necessarily have heard about Annibale Carracci, Italian baroque painter, less known than his disciple Caravaggio, but it was he who has contributed, in an important way, to the new genre. He was one of the first Italian painters to give landscape priority over figures. Unfortunately, his masterpiece, The Flight into Egypt, that was supposed to be shown in Paris, couldn’t be borrowed because of inheritance conflicts. Though his River Landscape (see above) is quite successfully compensating for this: nature is there in all her splendour, green, proliferating, but there is no wind, no rain, no changing of season. It shows eternity, somehow. 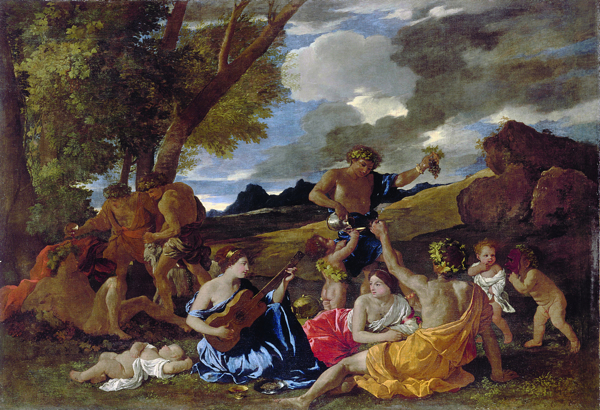 Besides Carracci you’ll discover paintings of Adam Elsheimer, Pieter Paul Rubens, Paul Bril, Claude Lorrain, Nicolas Poussin, and Gaspard Dughet. Some of their most accomplished works are shown in the exhibition. All their paintings illustrate their role in the development of various types of representation of nature, from ideal views of the Roman countryside to seascapes, through architectural caprices and nostalgic antique scenes in which myths alternate with history. But don’t imagine you’ll be able to decipher theses paintings without basic knowledge of the bible. Biblical motives are omnipresent and they are constructed in a way that your gaze will always end there where God meant it to. Despite the extraordinary rendering of light and atmospheric effects, nature is not something that touches the human soul. Looking at these paintings, you might get the impression of being in front of a landscape where human presence is not necessary. I for one have to admit, that I far preferred the sketches: it’s here, in theses more spontaneous documentations of a special moment in nature, that you can feel the presence of the human eye.